The mobile phone has become the basic necessity of life. We cannot step out of the home without taking it with us. The mobile phone is the main communication channel and an efficient way to stay in touch with loved ones. But for making calls, sending SMS and to surf the web it cost you something. Telecom companies have set different rates for using different mobile services. Mobile credit makes it happen for us to use these services in a cost-effective way. But sometimes we have to face the balance of low credit. More or less, we run out of our mobile credit quickly and it happens quite often. This is really annoying as most of the times you cannot instantly load credit and it will be hard for mobile users to pass a day without credit. Jazz always take care of customer’s need and for this serious problem, it has introduced Jazz super advance. Run out of credit and no other to load mobile credit then no worries Jazz is here to take you out of this problem with super advance. 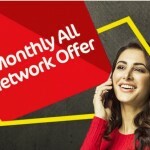 Now you can request Jazz for a super advance, the offer will give you the advance of the specific amount to meet your needs of low mobile credit. You can just top up your balance with super advance rather than just wait. Only prepaid subscribers of Jazz can request for advance credit. There is no time exemption or limit, the service is available anytime and anywhere. The jazz allows its customer to always stay connected to availing the super advance offer. Super advance is the simple and easy way to get instant credit. The advance credit can automatically be paid off on your next recharge. If you want to avail the super advance offer here is all the essential information that you need. 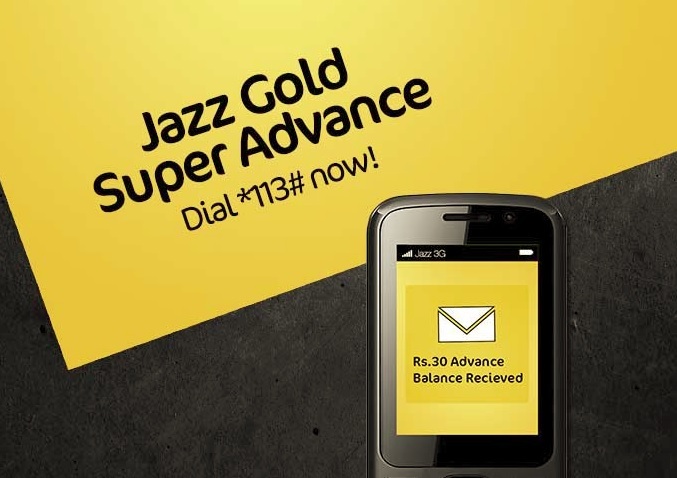 Only Jazz gold customers can request for super advance. To subscribe the offer, you have to dial *113# from your Jazz prepaid connection. You will be charged subscription fees of Rs 7 including tax to ask for advance credit. The mobile credit of Rs 30 will be provided to Jazz gold customers. You can return the super advance upon next charge of Rs 50 or more. To use the offer again, you have to return the previous advance. It is must to have the credit of less than Rs 15 in order to avail the super load offer. 5% Service charge, 19.5% FED and 5% operational fees will apply on usages in Sindh, KPK, Baluchistan, and Punjab. 11% operational fees, 17% FED and 5.11% Service charge will apply on usages in Sindh, KPK, Baluchistan, and Punjab. In Islamabad, FATA, Gilgit Baltistan, and AJK 2.14% will be applied to the higher price. Jazz super advance is offered to provide emergency credit to its prepaid gold customers in case they have not enough mobile credit. 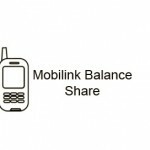 This service allows you to get balance in advance and to pay back at next recharge. Never run out of balance, just top up mobile credit directly anywhere and anytime with Jazz super advance.